Listen to the Tint World franchise interview with Charles Bonfiglio on Franchise Interviews with Host Marty McDermott on Blog Talk Radio while you are scrolling through this page. Hi everyone and welcome to a very special edition of Franchise Interviews, where for over 9 years we have been asking the frantrepreneur who owns one. I am your host Marty McDermott and I am the president of Franchise Interviews. We have a great show today. We are meeting with Charles Bonfiglio, the CEO of Tint World. 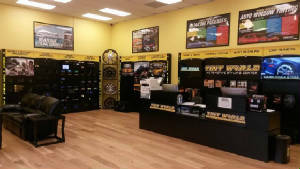 Since 1982 Tint World® has provided high-quality window tinting and vehicle accessories to people who love their cars. With a wide selection of automotive products and services, clean, attractive facilities, and superior customer service, Tint World®- has become America's favorite place for auto styling and accessories. Franchise Interviews: Hi Charles, how are you doing? Welcome to the show. Charles Bonfiglio of Tint World: Good morning! Good to be here. Franchise Interviews: Thank you Charles. It's our pleasure to have you here today. We always like to ask our guests where you're calling from this morning? 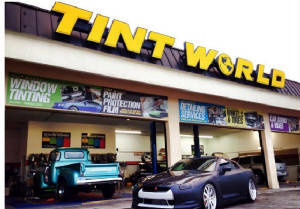 Charles Bonfiglio of Tint World: I am calling from Boca Raton, Florida. Franchise Interviews: Beautiful. How is the weather there today Charles? Charles Bonfiglio of Tint World: The weather is pretty nice, just a little overcast. I am sure it will be beautiful today. Franchise Interviews: Tint World has an amazing history. In fact, Tint World goes all the way back to 1982. I thought maybe we could talk a little bit about the history of Tint World. Charles Bonfiglio of Tint World: Sure, I would love to. 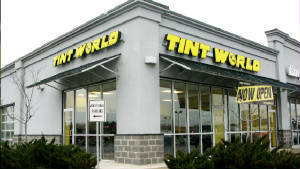 Tint World started in 1982 to satisfy the need of a well-run operation center for tint and auto accessories. As the years went on, we opened up more stores up until the last store being corporately developed in the late 1990's. Franchise Interviews: Tint World is more than just tinting. When I was on the website, I noticed all different services that Tint World provides. It is a pretty full list of services, isn't it? Charles Bonfiglio of Tint World: Yes it is. Although we started out with window tinting on cars, we extended our services to homes, boats and commercial properties. We also evolved our system to include mobile electronics, detailing, as well as car and truck accessories due to the many customer requests for those services. Franchise Interviews: How has technology played a role in your business? I am sure it is a lot different from when Tint World started back in 1982. Charles Bonfiglio of Tint World: We are an early adopter of technology. Technology plays a big role in managing businesses and multiple locations as well as the franchise system. Franchise Interviews: I imagine there are several benefits to tinting Charles: It gives you privacy and keeps your car cool, especially in the hot climates. Charles Bonfiglio of Tint World: Tinting also provides safety by preventing ailments such as skin cancer. Window film protects against UVA and UVB rays and protects your eyes from damage of the sun. Franchise Interviews: My wife drives me crazy because one of our cars is not tinted and she is always afraid someone is going to see her phone or pocket book. It's nice to have that privacy with tinting as well. Charles Bonfiglio of Tint World: There is no doubt that tinting a car will actually improve the look as well as the feel and comfort of the vehicle. It is a really nice benefit and our customers love it. Franchise Interviews: Do you get the impression that people are taking better care of their vehicles today? Charles Bonfiglio of Tint World: Yes, people really have a love affair with their cars. They want to take care of them and personalize their automobiles. They also want to keep them protected. As technology grows, so does the window film and auto accessory industry. Our customers really love their gadgets. Franchise Interviews: Tint World started in 1982, but you didn't start off as a franchise. When did you decide to franchise the concept? Charles Bonfiglio of Tint World: As you mentioned, our brand started in 1982 and we developed eight stores by the end of the late 1990's. Customers would frequently ask us, "Is Tint World a franchise?" and "How can I open up a Tint World?" In 2006, we developed all the systems and set processes in place and started franchising in 2007. Franchise Interviews: I can't tell you how many times I have heard on our show a similar story. Do you have to have experience to own a Tint World franchise? Charles Bonfiglio of Tint World: Actually not. The majority of franchisees have no experience in the automotive or window film industry. Many prospective franchisees decide to move forward with Tint World once they see the process we have set in place. There is really no other system like Tint World. Franchise Interviews: That's how you know you have a strong franchise system when you can teach anyone your business and they can duplicate the same success. What types of characteristics or traits do you look for in your prospective franchisees? Charles Bonfiglio of Tint World: It is always hard to pick who is going to be the perfect candidate, but we really try to consult with them for their own best interest because their best interest is our best interest. We want someone who is going to be engaged, enjoy the business, and really put the time in. After a short period of time, prospective franchisees see what kind of processes Tint World has set in place. We really automate the system with the point of sale, internet system, and online marketing. We try to do the heavy lifting and let our franchisees focus on the customers and staff. Franchise Interviews: That's the key to the success isn't it? Allowing your franchisees to mostly focus on the customer--particularly in this type of business--is so important. How does the training work Charles for new Tint World franchisees? Charles Bonfiglio of Tint World: After they make the determination and we feel they are a good fit for Tint World, they would come down for discovery day. Once they decide to move forward, we would help them find a location, negotiate a lease or purchase property. Once that is secure, we schedule training. Training is a three-week training program in South Florida. Once they finish training, usually within four to six weeks they are open for business. After they open their business, we send an operations manager to go to their store and help them with their hiring, staffing and promoting of their business. Right before their grand opening, they are ready to roll! Franchise Interviews: What is a typical day like as a Tint Word franchisee? Charles Bonfiglio of Tint World: Like in any business, nothing is typical but once you get experienced in operating it, it does become pretty much the same. After franchisees are open for a while, they don't have to put as much time into the store. Some of them have managers, some of them have multi-store locations so it does change for each individual; but if a store is a single store owner, they will come in and open up their business, greet their staff, have a little strategy meeting and move forward. Then they will get their mobile vehicles on the road tinting homes and boats and commercial buildings while their internal staff at the store is working on scheduled appointments for tinting, mobile electronics, detailing services, and car and truck accessories. It is really quite enjoyable to have an energized staff that does things that they like to do, it is really a fun business. Franchise Interviews: That is so important. Is there an ideal location and how much space is required to open up a Tint World? Charles Bonfiglio of Tint World: We really try to help the franchisees find a location, which is really important. We seek for it to be in a nice, comfortable, suitable area where it is high traffic. The space doesn't have to be very large; it could be anywhere from about 2,000 to 4,000 square feet although we do have some locations that are bigger. It is just a matter of finding a location to meet the criteria and then having the franchisee match up their investment level to their location area they are looking at. Franchise Interviews: From all your experience what advice would you give our listeners in their quest to buy a franchise? Charles Bonfiglio of Tint World: You want to love what you do so try to find the franchise business that you really like. Also, focus on a profitable franchise where the products and services are high gross profit margin because that really helps you go a long way and evolve. In addition, make sure you have a franchise system that has a good technology foundation to be able to automate your business processes as well as do the marketing with you and for you. When you have a full service franchise that can give you continued support and operational staff support, it is going to allow you to grow and evolve and not be alone. As a result, you can actually have your own business with a partner to help you grow and move forward. Franchise Interviews: I think that is great advice Charles. Marketing support is so important. Tint World really has it down as far as what type of advertising and promotions work well. Don't you? Charles Bonfiglio of Tint World: We really do. We really have our customers segmented into the four categories: automotive, residential, commercial and marine. In today's world the marketing has gotten so much more complex than it was 10 or 15 years ago where it was just traditional marketing. Now you have to understand the algorithms for Google, Bing and web development. People are invigorated by new technology and we are really big into helping our franchisees so they can focus on their business. Franchise Interviews: What I liked about your model was the dual revenue streams. You're working with consumers and commercial business as well. 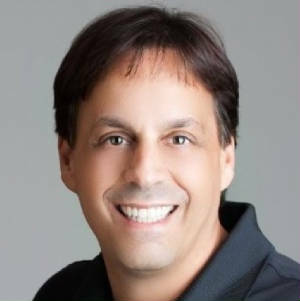 Charles Bonfiglio of Tint World: Yes, we really focus on trying to get as many revenue streams coming into the business so franchisees can have the level of success they want to reach and not just be confined within the four walls of their business model. The brick and morter is the most important key to develop and we want them to be able to branch out to working for car dealerships, commercial accounts, residential and marine. It is really important for us to expand our business model as we move into the future. Franchise Interviews: As CEO, where do you see Tint World three to five years down the road? Charles Bonfiglio of Tint World: The first years of any franchise system takes time to get to a certain level where you take notice. We are approaching now 50 stores and we are in three different countries. That really helps us expand our footprint. We are now in Saudi Arabia, UAE and Dubai. We are actually in Canada as well as the U.S. So we are a total of four countries with the U.S. That expansion is really taking notice and we expect massive growth. We are hoping to have at least 35 more stores open this year. I know it is aggressive but we already have half of that being developed before June. We expect massive growth moving forward and some acquisitions along the way. Franchise Interviews: It must be great for you too to see how far Tint World is today Charles compared to the humble beginnings of 1982. It must be a great feeling for you I imagine? Charles Bonfiglio of Tint World: It really is. There is nothing like when I hear franchisees tell me how great they are doing, how happy they are and what the Tint World franchise system has done for them. It has changed their life and allowed them to live the life that they wanted. There is nothing more pleasurable for me to hear than that and that just keeps me inspired to keep moving forward and continue to give our franchisees the best tools and systems so they can expand their business model. Franchise Interviews: It always seems the true gratification for a franchise is watching the success of your franchisees. It's a wonderful experience, isn't it? Charles Bonfiglio of Tint World: It is really what keeps us all going. Our whole team is really engaged in that notion and we love to see our franchisees flourish and live their dreams. Tint World is really an amazing system and I'm really happy to help people grow. Franchise Interviews: What is the best way for our listeners to get more information on becoming a franchisee? Is there a particular website they should go to or we can direct them to? Charles Bonfiglio of Tint World: Yes, the regular consumer website is Tintworld.com. For franchising, we have Tintworldfranchise.com that you can get information and download a brochure about the business model as well as our 1-800 number they can call 1-800-767-8468. They can ask for the Franchise Development Department who would be happy to consult with them on any franchise interest that they have. Franchise Interviews: It was a pleasure for me to talk to you Charles. I have been following your franchise for a while now so I was really excited to have you on the show and I think this is a great opportunity. We would like to invite you back next year as you continue to grow. Charles Bonfiglio of Tint World: I loved to be here, and we would be happy to continue with your support to be on the show next year. Franchise Interviews: It was great to talk to you Charles and we will be back with more Franchise Interviews.